Annual Kazakhstan International Healthcare Exhibition took place in “Atakent” exhibition complex, Almaty, from May 13 till May 15, 2015. More than 300 companies from 28 countries took part in forum. 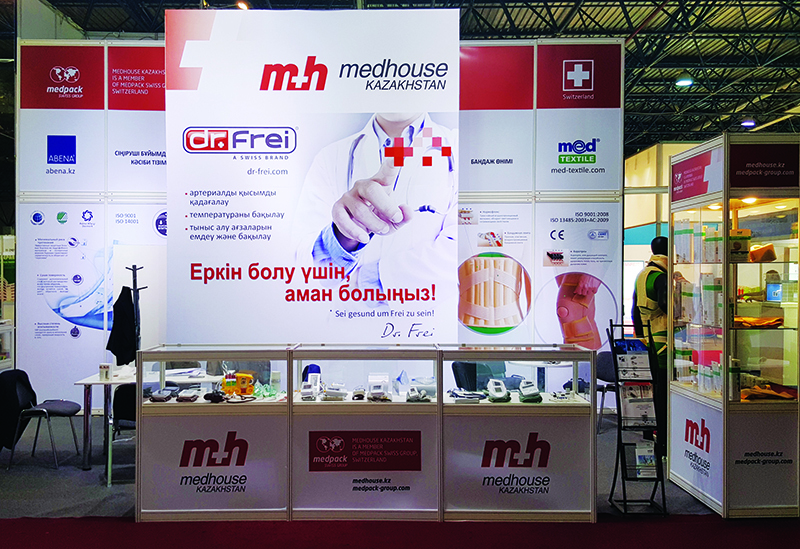 Team of MedHouse Kazakhstan took an active part in the event not only showing the whore range of their products offered, but also introducing a new Swiss brand Dr.Frei to all the visitors of the exhibition. Design and technologies applied for a new line of medical devices were met successfully by the visitors of the booth. We are sure that the customers will be looking forward reaching them at the shelves of the pharmacies in Kazakhstan.